The Tamil Nadu police last week arrested a Christian priest who was wanted by Interpol for his alleged involvement in a child abuse case. Rev Joseph Jeyapaul was arrested by Erode Superintendent of Police S Panneerselvam on Saturday. The Catholic priest faces charges of sexually assaulting a 14-year-old girl in Minnesota, US. The US police had handed over the case to the Interpol which obtained an arrest warrant against the priest and asked Tamil Nadu police to trace him. Jeyapaul, who maintains that he is innocent and the charges against him are fabricated, was traced to a church at Smitahalli near Thalavadi in Erode. Media reported that the 57-year-old priest was produced in the judicial magistrate court and handed over to Interpol officials in New Delhi on Sunday. Jeyapaul, who was temporarily assigned to the Diocese of Crookston in Minnesota in 2004, was accused of repeatedly molesting the girl in the rectory. 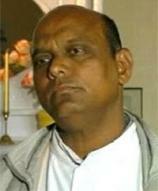 Jeyapaul was charged with two counts of criminal sexual conduct, but returned to India before charges were filed in 2006. In September, last year, the Crookston Diocese agreed to pay $750,000 in a lawsuit settlement to the victim. Earlier, speaking to news channels in the US, Jeyapaul said he was innocent and had "not committed any sin against anybody". He told ABC News in 2010 that the accusations were inspired by a desire for money. Jeyapaul said that he has worked for nearly 30 years as a priest and never had accusations against him in India.